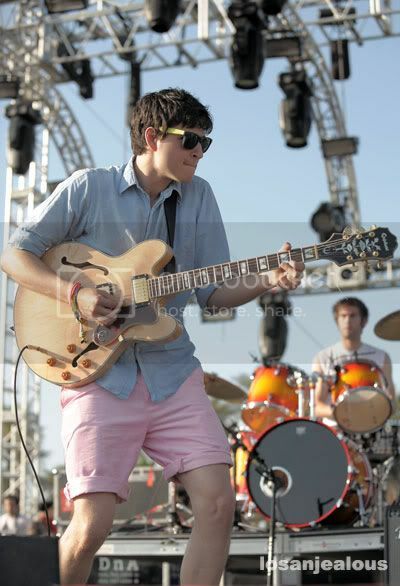 Vampire Weekend is comprised of some Upper West Side Columbia University students who apparently wear pink shorts on stage. They garnered much attention with their self titled debut album and have the same tour manager as The White Stripes, a testament to how big these guys are making it. They are on the verge of releasing their second album and have released their first video for the song "Cousins" off the new album. The new video is posted below but I am going to add another video, the movie short that lead singer Ezra Koeing put together and where the bands name derived from.